One of the most important – yet often overlooked – aspects in life are your physical and mental wellbeing. It’s crucial to keep yourself healthy, well-fed and properly rested every day to make sure your body and mind are at their peak. There are many things that can cause stress every day: poor diet, lack of physical activity, long work days or even triggers such as loud noises or irritating coworkers. These issues can build up to cause heart problems, anxiety and poor health later in life. And while there are tons of ways to stay fit and healthy, it often comes down, “Where do I begin?” Try focusing your efforts on a few simple tasks: sometimes all it takes is a helpful mobile app, a tweak of your diet and a few more physical activities to make a difference. Take a look at these ideas to make this year healthier and happier. The easiest way to begin the journey to a healthier you is by giving your body everything it needs to function at its best. A well-fed body is essential to an active and focused mind, regardless of whether exercise is part of your daily routine. Making sure the food you eat is filled with necessary nutrients and low on fats and sugars can easily help you shed a few pounds or simply feel a bit more switched on. Start off by cutting down on junk, processed and unhealthy foods and you’ll instantly feel the change. Replace those foods with a few more veggies, fruits and other fresh ingredients to keep yourself in tip-top shape. 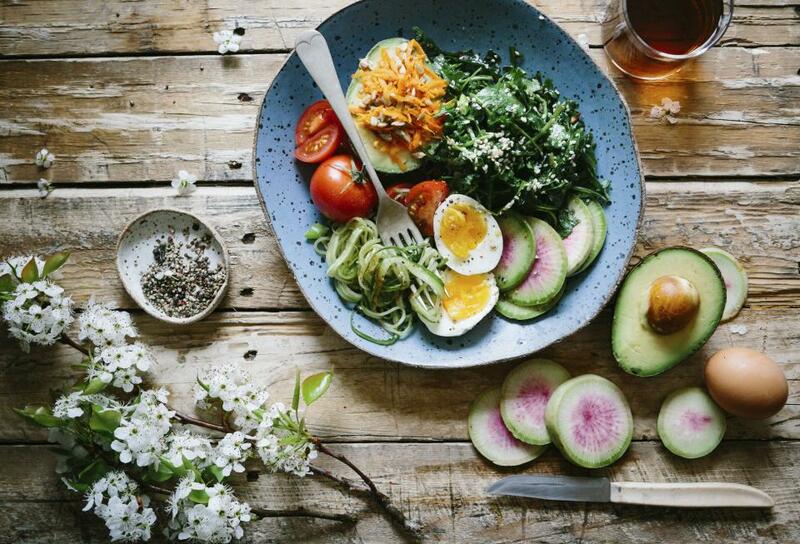 Whether you make it a habit breakfast at home or typically start your day with the local café’s blueberry muffins, there are apps that can bring you the best of your city’s healthiest cuisines to you. Making a habit of ordering a delicious superfood smoothie in the morning is just one simple, healthy start to a new and improved daily routine that could make a big difference. Ask any doctor what steps they believe are necessary for a healthy life and the first suggestion is that proper sleep and reducing stressful stimuli are essential. Bad sleeping habits lead to fatigue, disorientation and the inability to function properly throughout the day. There are also physical side-effects such as weight gain and exhaustion. To combat poor sleeping habits and anxiety, getting seven or eight hours of sleep is crucial. If life’s stresses keep you up at night, mental exercises or meditation can make a huge difference. If you have never meditated before, there are loads of resources that are worth giving a shot. “Calm” is an app designed to aid in the overall well-being of the mind through methods like breathing routines, meditation guides and audio stories, to help you fall asleep faster and more comfortably. The key to improving your stress levels and having an overall healthier lifestyle is to try out different methods and find out what suits you best. While it may seem like a few simple changes, the effects they can have on your health and wellbeing are significant.